These plates are very LW considering their threat level, durability, shelf life, and cost. They are very thin even with the build up coat. I found the ALSC cut to deep, I feel it reduces coverage too much for my chest so I flipped it upside down and it covers my chest much more nice now. Also the deep cut allows for easier crouching and climbing. 11x14 3+ LW, curved, build up coat, highly recommended, turn it upside down. One of the best options on the market unless you crap money. These plates are great!!!! . You must have the xl carrier for these plates. They do not fit in any other type of carrier. You have to order or already have a 11"x14" carrier or you will be SOL. The plates with carrier 3x magazines 5.56, med kit 2x g17 mags, radio, flash light, 2x flash, 1xsmoke and soft armor is 40lbs +so have good fitness. these are a good in expensive altering rice to ceramic. If your planning on being in your kit for 12hrs+ spend more get the poly plates. 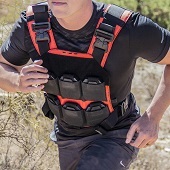 But if you need a grab n go carrier or your a LEO responding to active shooter these are awsome. 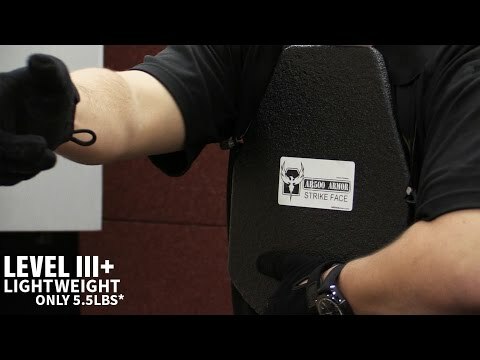 You're reviewing: AR500 Armor® Level III+ Lightweight ALSC Body Armor 11" x 14"